In 1979, The Oakridge School opened its doors inside a small Methodist church in Arlington, Texas. At the time, very few schools existed to help prepare kids for college in Texas. Many talented, gifted children weren’t getting the kind of education needed to ensure success. And so, a group of concerned parents and educators got together and did something about it. 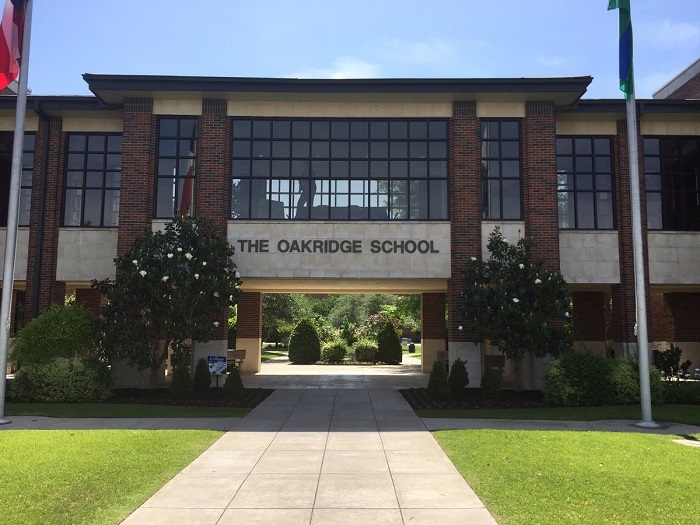 Over 30 years later, The Oakridge School continues its mission to inspire students to seek their full potential in academics, arts, and athletics in an environment that cultivates social responsibility, mutual respect, and personal integrity. The school administration’s focus on technology inside the classroom especially helps student progress. For example, the Learn21 program provides students grades 4-8 with an Apple iPad to use as a learning tool throughout the school year. A Bring Your Own Laptop (BYOL) policy was launched in 2017 for grades 9 – 12. Numerous studies show including computers in the classroom leads to improved academic performance, increased engagement and motivation, and a rise in cost savings and resource efficiency. With the rollout of Learn21, c2mtech was needed to expand Wi-Fi infrastructure and security measures. The current network at Oakridge was susceptible to cyber threats and internal activity needed monitored to ensure student safety. Finally, a 10G fiber connection had potential to deliver high-speed internet throughout multiple buildings on campus. As a partner of Rukus, c2mtech designed a Cloud Wi-Fi solution for the current 800 students, faculty and staff. Cabling infrastructure was upgraded to support Fiber and nearly 60 Wireless Access Points were positioned to create reliable internet access. Next, c2mtech configured FortiCloud with the new Ruckus hardware. FortiCloud is a cyber threat detection, firewall and secure Wi-Fi system. After training IT staff and administrators and comprehensive testing of wireless networks, Oakridge was prepared for the classroom of tomorrow. This is truly an exciting time in the history of The Oakridge School. The institution has received recognition for combining technology with academics. A connected campus and classroom will continue to be supported by c2mtech, delivering an education that prepares students for college and the real world.